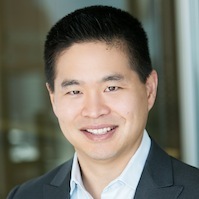 Brad Katsuyama, the CEO of America's newest stock market explains the insights and challenges that inspired him to innovate. The markets have lost their way -- catering to exchanges and middlemen. It's IEX's mission to realign them around the core needs of investors and issuers. This is a story told in Michael Lewis' latest best-seller: Flash Boys. Brad is the CEO, President, and co-founder of IEX – a stock market dedicated to investor protection. IEX is owned by world-class mutual funds, hedge funds, family offices and entrepreneurs such as Jim Clark and Steve Wynn, and recently raised VC funding from Spark Capital and Bain Capital Ventures, among others. Prior to co-founding IEX, Brad was a 12-year employee of the Royal Bank of Canada where his most recent management roles included Global Head of Electronic Sales and Trading and Head of US Risk Trading. Brad received the Alumni Gold Medal as the top student in the School of Business and Economics at Wilfrid Laurier University in Waterloo, Ontario. He was a cover story for the New York Times Magazine, and has been featured in 60 Minutes, the Wall Street Journal, CNBC, and other media outlets for his role in Michael Lewis’ latest best-selling book, Flash Boys.